For total control and complete CANbus compatibility,The BMS JB4 is here. Power gains on a stock N20 Engine are up to 35hp and 60tq to the wheels. During closed course testing the 2012 F30 328i 0-60 times improved from 5.4 seconds to an incredible 4.7 seconds! For the next level in turning and power, the JB4 has arrived for your BMW F30 328i / F10 528i / E89 Z4 / E84 X1. The BMS Burger Tuning JB4 expands upon the Stage1 tune with added CANbus functionality. This allows you to have multiple maps that can be changed directly from the dashboard as well as diagnostic tools, code reading, ethanol support and more. 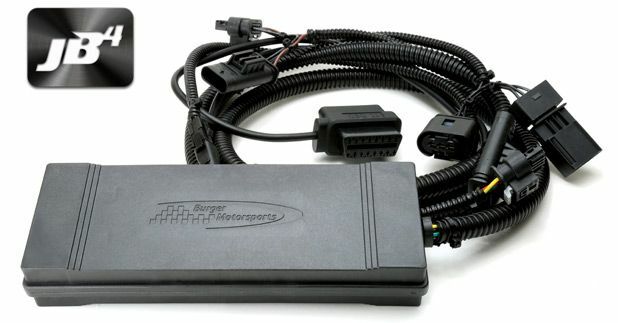 It is fully plug and play and attaches to four easy located sensors under the engine bay.